Feel free to leave a comment! Your feedback and response is important to us. We strive to improve our services based on our patients’ needs. 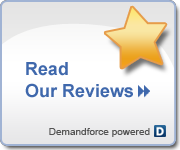 Please find a few of our Demand Force Reviews below. I personally hate going to the dentist, BUT DrAnjoo & her GREAT staff make it a pleasurable experience. If one gets cavities, then this is the place to get them fixed: Easily, Effortlessly & Expediously. The Team is simply the BEST… they are better than all the rest! Dr. Anjoo and staff are very friendly and caring. My experience with Novi Oaks Dental couldnt be better. Everybody is always very friendly and helpful. Everyone in the office is so nice and professional. My appointment was really smooth and fast. If you have to go to the dentist, this is the place to go. Everyone there is very professional and pleasant. Dr Ely and her team are professional and caring with all of their customers. Dr Ely and her team take time to explain the treatments and steps needed to help customers feel comfortable with the process. Thank you Dr. Ely and your staff Cassandra, Beth Ann and Sarah. We appreciate your special caring way of providing us with a quality, dependable and professional service. The office is great and the office staff are friendly. 5 stars. Always happy with my service at this office. I like everything about Dr. Ely and her staff! Had a crown fall-out Monday and Novi Oaks jumped on it and had me scheduled within a day. Unfortunately, I had to cancel that appointment and they were able to accomodate me immediately. Huge Fan!!! Dr. Ely and her staff are great. The hygenist takes her time to do a thorough cleaning. Dr. Ely is very easy to talk to and great about explaining treatment. Great Staff, Great Dentist, Great Team! Thank you! Best dentist I have ever been to. I now have to fear of going to the dentist. Her staff are caring. No more fear!!!! I love this dentist and her staff. Gentle, caring and nonjudgemental.